Mace’s 21 Moorfields team is currently constructing the UK’s highest capacity piles, which are 2.4m in diameter and over 60m deep. The traditional method for constructing piles using bentonite is to top up the concrete until it overflows the casing. It is then necessary to break out the concrete to the correct level to form a pile cap. Consequently, the breaking of the concrete leads to an increase in noise, vibration and dust levels within the area. 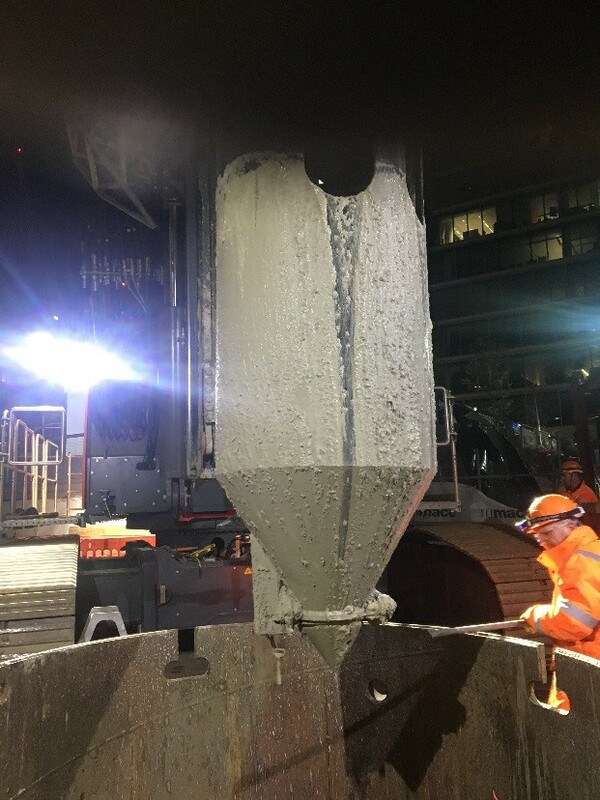 In order to stop this substantial noise, and mitigate the effects of these works on the site neighbours, Mace worked with Cementation Skanska to implement a new method to bail out excess concrete/ bentonite from the top of the pile. A bespoke tool was designed that was fitted onto the piling rig auger and removed excess materials. Furthermore, this method has additional environmental benefits as it reduces traffic to and from site, as less waste produced during the process in the first place.